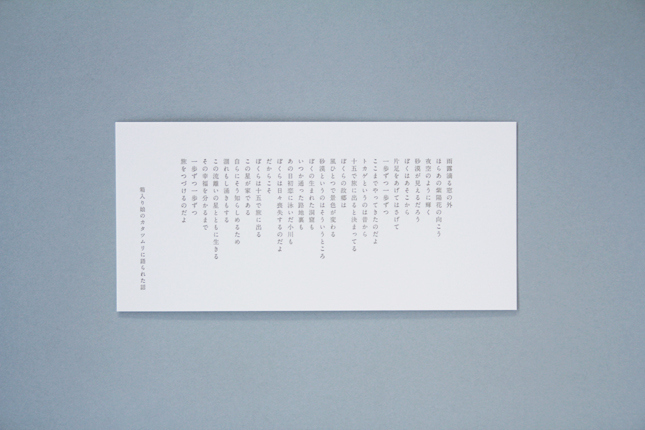 Poetry Card "flower in the garden of poetry"
Exhibition "flowers, poems, and..." was held at The “Koto-no-Ha” Flower-shop in Matsumoto-city Nagano Japan in Jun 2013 by poet and florist to show it as my seven poems and costarring of the flowers. Because I wish that the seven poems are loved in various form by all of you, I created them to each card. 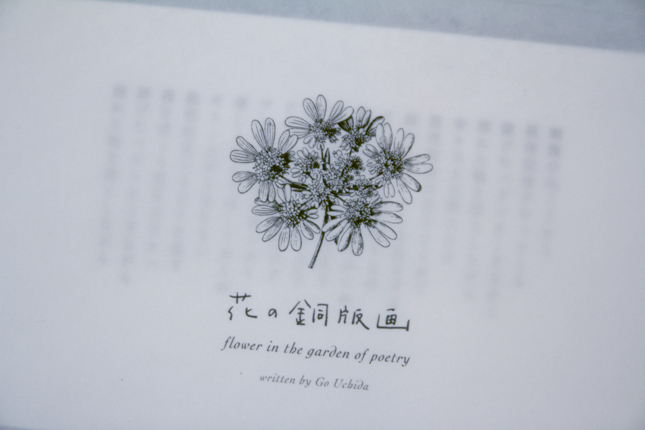 In the Exhibition, a flower appeared with various facial expressions for each poem. People who attend this Exhibition gave me a lot of warm comments for this co-starring poems and flowers. 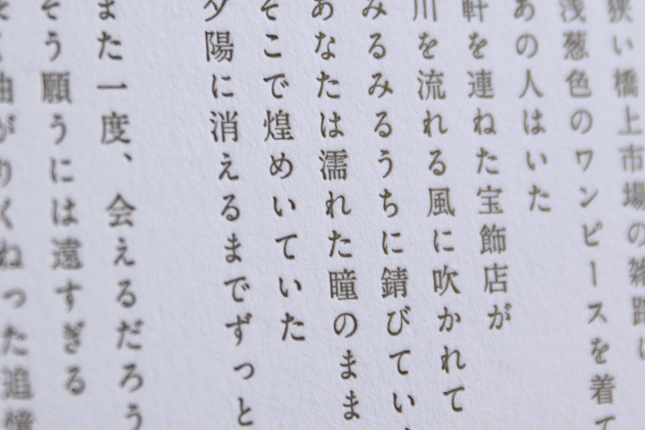 Poems are writing in the card with soft, beautiful and rich texture because of its homogeneity of fibers in the paper. 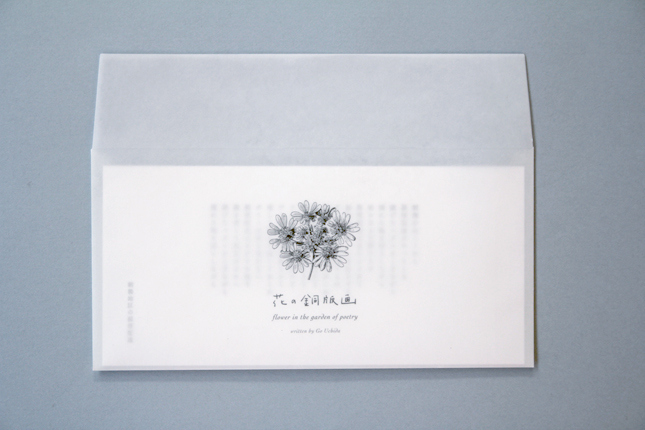 They also come with envelope of waxed paper material, I think you would like the quality of it. I can’t stop imagine that what kind of styles would you value with these poems, but if they will become to be loved widely in various scenes, I will be very honored.